Aquaculture farmers raise fish and shellfish for the purposes of consumption, population restocking, or for use as bait. Aquaculture technicians are responsible for feeding the fish, restocking tanks, performing tests to ensure water quality and temperature, checking the health of the fish population, notifying veterinarians of any noted health concerns, and properly cleaning and maintaining the ponds or tanks. Aquaculture managers are responsible for managing technicians and maintenance personnel while ensuring high standards of production are maintained. Managers are concerned with various administrative tasks, business planning, financial management, and facility management. Those working in the aquaculture industry must be prepared to work long and often irregular hours which may include some shifts on nights, weekends, and holidays. Work often occurs outdoors in varying weather conditions and may be physically demanding. Positions in aquaculture include technicians, water quality specialists, maintenance personnel, site managers, and production managers. Some of these jobs may be part-time or seasonal in nature, though more than half of all aquaculture jobs are full-time positions. Aquaculture farmers can own their own operation or find employment with a large commercial production facility. Many operations specialize in producing one specific type of fish (in the U.S., the most popular species being catfish, trout, bass, or tilapia) or shellfish. Aquaculture operations may supply fish for food, fishing bait, pond stocking, or aquariums. Some small aquaculture producers operate a retail shop to sell their consumable fish products directly to consumers, but most fish produce travels down the commercial distribution chain through various processing facilities before reaching a retail store. Aquaculture personnel may also find positions as educators, especially if they hold an advanced degree in the field. Those with masters or Ph.D. degrees may teach at the college level, conduct research studies, and publish their findings in scientific journals and industry trade publications. Other solid options in the field include aquaculture health sales or aquaculture feed product sales. Most entry-level aquaculture careers require candidates to at least hold a high school diploma. Upper-level management positions in aquaculture generally require a bachelor's or even a master's degree. There are many schools offering undergraduate or graduate studies in aquaculture and related fields, and the number of schools with such programs is rapidly increasing. Aquaculture-related programs can be found at a number of large schools across the United States such as University of Maine, Mississippi State University, Louisiana State University, Texas A & M University, Virginia Institute of Marine Science, University of California, University of Washington, and University of Hawaii (just to name a few). The World Aquaculture Society also maintains an extensive list of aquaculture programs worldwide. Many students of aquaculture choose to seek an internship in the industry during their college years. During these internships, students have the opportunity to assist with experiments designed to advance the productivity and growth of the species of fish or shellfish they are studying. Students also gain valuable hands-on experience that will later feature prominently on their resumes. Those involved with aquaculture should have a good working knowledge of animal science with a specific focus on fish (including anatomy, physiology, biology, and production). Skills in business management, marketing, advertising, personnel management, and accounting may also prove useful to managers and farm operators. Salaries in the aquaculture industry can vary widely based on the type of position, the size of the operation, geographic location, and the employee’s prior experience in the industry. 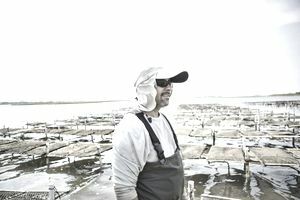 SimplyHired.com cited the average salary for a fish farmer as $71,000 in 2019. An aquaculture technician could earn about $35,000, while a director of a large commercial operation could earn over $150,000. As with most industries, those with specialized knowledge of specific facets of the industry will tend to earn higher salaries than the average. According to the SeaGrant program at the University of Connecticut, aquaculture is the fastest growing segment of the entire animal production industry. In fact, the aquaculture industry is credited with pulling in over $100 billion per year in sales worldwide. There are well over 4,000 aquaculture farms in the United States alone. The latest United States Department of Agriculture Census of Aquaculture data indicates that while the number of trout and catfish farms declined slightly from 2002 to 2007, the number of farms producing all other food fish, baitfish, sports fish, ornamental fish, mollusks, and crustaceans increased across the board. The Bureau of Labor and Statistics and other agencies point out that the number of positions in aquaculture may show a slight decline (despite the increase in overall farm production and consumption) due to the increasing use of machines for maintenance tasks.